Hampton Rovers host arch-rivals Ormond in the Grand Final rematch this Saturday and it’s the opening Home Game Luncheon of the season at Boss James Reserve. We kick-off 2019 with one of the biggest Luncheons of the season and we expect a big attendance, from both Rovers and Ormond supporters, as has been tradition over the years. The cost is still just $30 per head or you can purchase a club membership to have luncheons included as part of your membership package. Bookings are essential and can be done online – simply fill out this form. You can also send a text message to Gary Nash on 0407 313 054 to confirm your attendance. We ask that you please book your spot by Friday midday to secure your seat. Payment can be made on arrival or pre-pay online via the Rovers Online Shop. We invite all supporters, parents & family, past-players and the extended community. It’s a wonderful way to enjoy match day at Boss James Reserve, surrounded by great company within a pleasant atmosphere. Our well-renowned caterers cook a quality hot meal on-site, usually a carvery with cheese & biscuits available afterwards, and drinks at bar prices. Hear from the new President about the year ahead and other guest speakers. 12pm for a 12:30pm start at the Wright-Scarlett Pavilion at Boss James Reserve, David Street, Hampton. Then watch the Seniors take on Ormond in the round two clash at 2pm in the big Grand Final rematch. 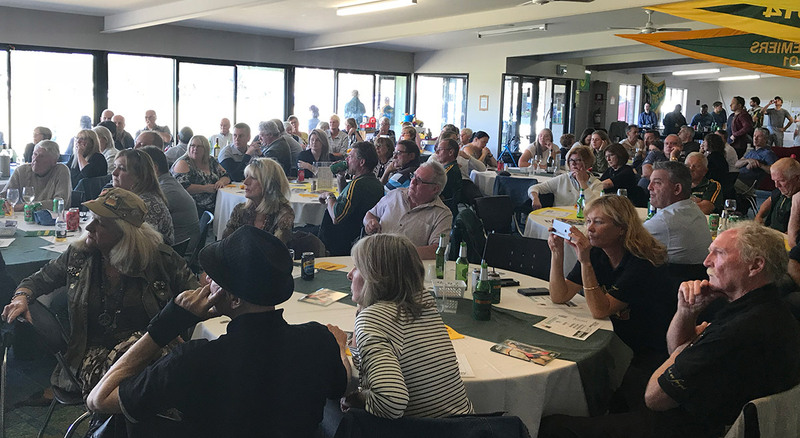 The Hampton Rovers Football Club will again host nine Home Game Luncheons in 2019 – prior to every senior home game at Boss James Reserve. We encourage supporters to purchase a 2019 Club Membership and support the club in its 90th Year. Packages start with a social membership for $70 (includes one lunch), bronze $140 (five lunches), silver $250 (nine lunches) or gold $500 (nine lunches for two guests). These are now available from the Rovers Online Shop. The club welcomes everyone to get along to at least a few, if not all, home game luncheons. We would love to see as many of our loyal members and supporters, players partners and family and opposition supporters throughout the season, starting with this Saturday. BOOK NOW!